Weary of his rock-and-roll lifestyle as a successful musician, Marek (Ivan Franek) takes time off to live in the country home of his childhood so he can pursue his hobby of painting. Unfortunately, the old, forgotten manor offers anything but peace and quiet. 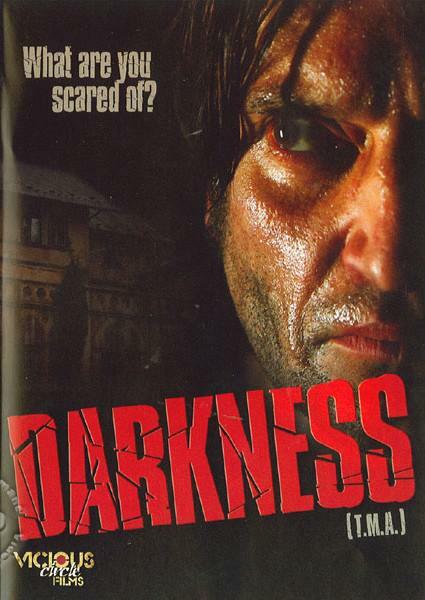 Haunted by strange noises and vivid childhood memories, Marek soon senses he's living in the midst of a dark presence. With the help of Lucie (Lenka Krobotova), a sweet girl from the nearby town, Marek embarks on a journet to unearth the house's sordid past and its historic ties to the Nazi occupation. As he delves deeper deeper into the house's secrets, he finds himself wondering whether the ghostly occurrences are a product of the house or his own troubled subconscious. Thanks to director Juraj Herz's (The Cremator) expert storytelling and a gorgeous, brooding aesthetic, Darkness pulls the audience into a riveting mystery that deftly shakes a layer of dust off the classic ghost story genre.